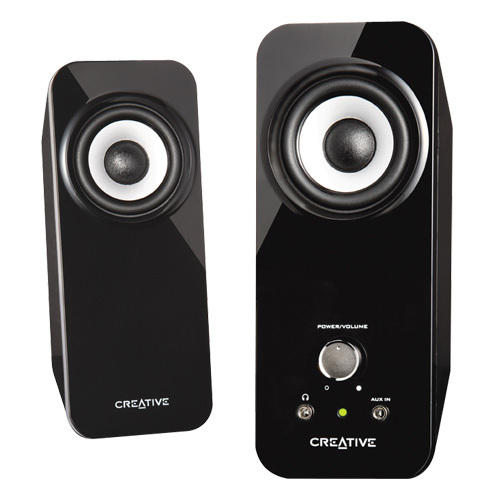 Discover the secret to great audio with the Creative Inspire T12 desktop speakers. Built with quality components and fine-tuned to perfection, experience impressive audio from its two quality drivers. With the addition of the BassFlex technology which extends low frequency, get to enjoy the full range of your music playback. The speakers are great for home listening and deliver outstanding results with your notebook and MP3 player. Slim, stylish and decked out in classic black, it is the natural choice for a hassle-free 2.0 speaker solution. If you have any questions about this product by Creative Labs, contact us by completing and submitting the form below. If you are looking for a specif part number, please include it with your message.